NXT TakeOver is where new Superstars make their name, rivalries escalate and the audiences can't stop chanting 'THIS IS AWESOME!' In 2018, the NXT Universe witnessed some of the greatest matches in NXT TakeOver history! Now you can relive the hottest rivalries and watch the fastest-rising Superstars in sports entertainment. 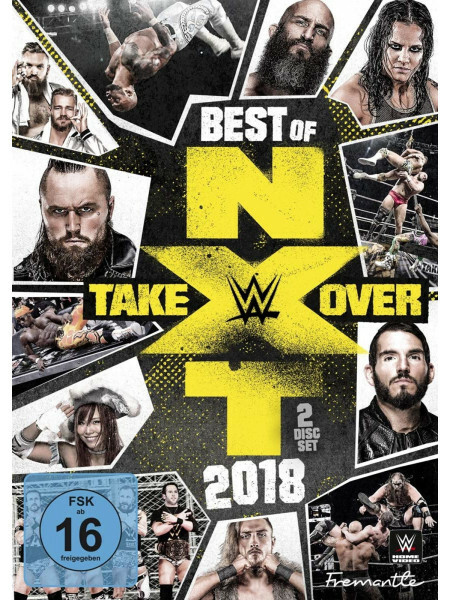 Featuring JOHNNY GARGANO, TOMMASO CIAMPA, VELVETEEN DREAM, RICOCHET, MOUSTACHE MOUNTAIN, SHAYNA BASZLER, KAIRI SANE, UNDISPUTED ERA and more! This is the Best of NXT TakeOver 2018.